We’re always looking for great signature gifts, that have a meaning and story! And this surpasses both! 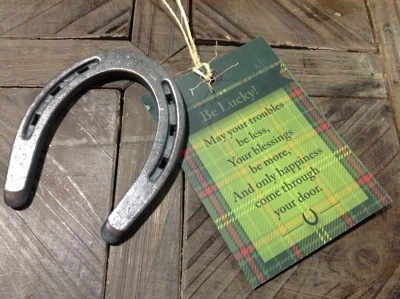 Our “Be Lucky” horseshoes, come with a card attached that reads ” May your troubles be less, your blessings be more, and only happiness come through your door.” Only $6.95, and ONLY available at house! What a great hostess gift, or a stocking stuffer!!!! This is a must have gift for or FROM the bluegrass area!!! Making a door basket for Spring!